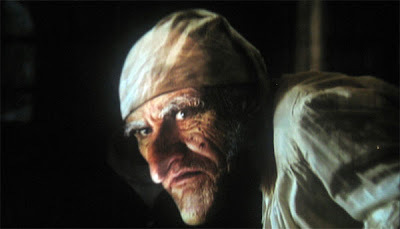 Just saw the first photo of Jim Carrey as Ebenezer Scrooge from the movie The Christmas Carol produced by Disney. I know that Scrooge is a monster in his own way that believes Christmas is just a crap but I think the design of Scrooge in this film is a little over board. He looks like the house of elves in Harry Potter combined with the evil stare of Gollum in LOTR. Oh well, I still wish that this movie will be great since I really love The Christmas Carol a lot. A Christmas Carol is set to premiere in November 6, 2009 - December 26, 2009 Worldwide. In the direction Robert Zemeckis, Starring Jim Carrey, Gary Oldman, Colin Firth, Bob Hoskins, Robin Wright Penn, Cary Elwes, Fionnula Flanagan and a whole lot more. Brought to us by Walt Disney. Prepare to hate Christmas because Scrooge does. Thanks for this. I, on the other hand, think he looks perfect! This could be how I would imagine Scrooge to be. A real scrooge!